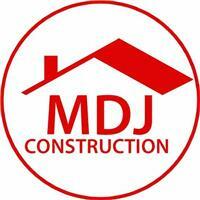 MDJ Construction - Builder, Painter/Decorator, Roofer based in Hastings, East Sussex. A local family run Building and Roofing company based in Hastings East Sussex. We have carefully built our reputation on great quality work which we carry out with the minimum of fuss and interruption to our clients. For all your Building, roofing and decorating enquires please give us a call. We are happy to help and advise on what you can and can’t do, and offer professional building advice where we can. We believe the quality of our work, together with our friendly, professional help and advice is why our customers come back to us, and recommend us to their friends and family. Find us on Facebook @MDJConstruction or visit our website www.mdjconstruction.com for updates and to see some of our latest projects. If you would like any help, or information on any building, roofing or decorating project please call for a chat and a free, no obligation, written quotation.